This week's cider is the brother of The Hills Cider Company Pear Cider which I reviewed in April. 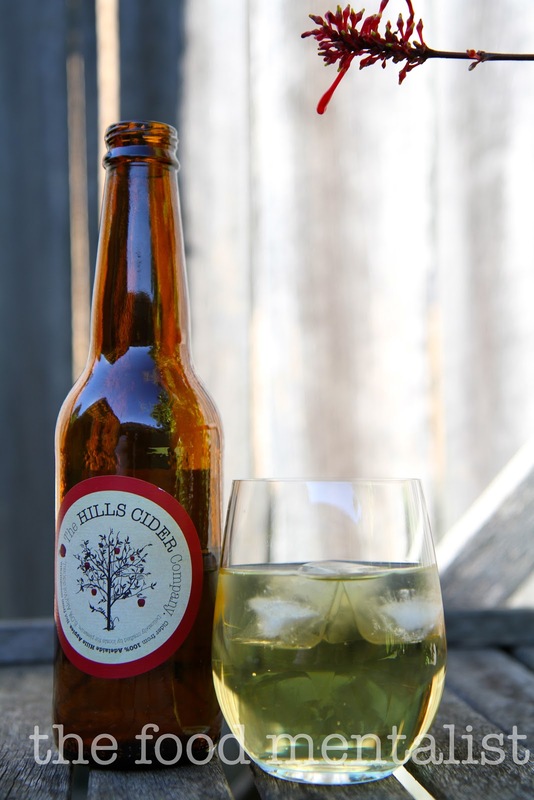 This one is also made from 100% fruit, from apples which have been sourced from the Adelaide Hills. A well balanced sweetness is met with slightly tart acidic notes which I really like. It is lightly carbonated which I prefer as doesn't dominate the cider like it can in other ciders. I can taste hints of lime and it has a nice dry finish. This one will pair very well with a marinated pork roast, lots of salty crunchy crackling and crisp roasted root vegetables and potatoes.Yum! At 5%, a 330ml bottle will provide you with 1.3 standard drinks. I haven't tried this brand of cider before, my boyfriend loves cider and beers, wonder if he has..I only recently got into the whole cider/beer thing actually, but I'm loving it! I love how crystal clear this cider is. I would definitely try this with some roast pork...mmmm. Oooh, yeah. 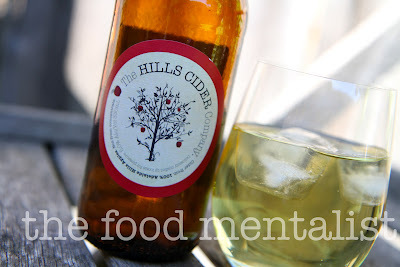 I had me a glass of this - and their pear cider - at Tasting Australia a few weeks ago. My first taste of cider in years & years. Wonderful stuff!